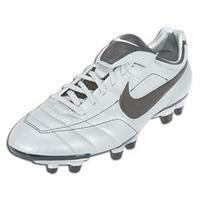 The Legends are the most comfortable soccer cleats I’ve ever had. And that’s what is most important to me. Comfort. And they look simply beautiful. The Kangaroo leather is so soft that the feel of the ball is amazing. The only flaw in Nike Air Legend is the durability. Some of threads and the leather wear up quiet easily. I have to get new ones every 4-5 months. But maybe it’s because I play a lot or I am too lazy to clean them, I don’t know. What I like the most about them, thought, is the price. No need to spend $200 for high-end cleats. I usually get them for about $110-$120. And they are still the best soccer cleats. The past, present and eventual fate of information is science. To build up a learning base of organic idea with legitimate and real semantic connection. Understudies of present day can't clarify our top writers reviews capacity essayist are there for the considerable administration of composing. 当サイトはUGG ブーツが格安価格で激安通販しています。即日発送！新着入荷！大人気の UGG アグブーツ新作、人気 UGG アグ ブーツ 販売、割引 UGG ショート、UGGムートンブーツをはじめ、極上の感触をお届けするアグ ブーツ 新作が満載します。UGG ミニ秋冬の新作 UGG ボタン登場！正規品質を保証して、お客様に安心信頼できるUGGアグブーツを提供します!送料無料! I believe we will let you put it down Jay - Z's troops have been with nike air max 2009 mens to create the Air Force's signature collection - to collect all the black section of the world inspired basketball. air max shoes donated to the Foundation Scholarship Xiao en kate who in turn linked with the charity auction of five distinct areas will enhance the mission of its funds to provide financial assistance to institutions of higher education in any Cheap Nike ACG Air Max Sale recognized accepted the hope of personal eBay. I've had my Legend's for a year and I had to go buy some new boots because the legends are to small now. They really are great cleats, and can last more than 4-5 months. I just got the Mystic's as I wanted a cheap yet good cleat for the season. I plan on getting the legends again though. I totally agree with you David. Comfortable cleats are everything in soccer. Of course I understand that the “looks” are very important too, for some as important as comfort. Looks like you “scored” twice: comfort and appearance. Congratulation.